When Black Bed Sheet Books was designing the cover of As Above, So Below — my first novel, written with Brian Thomas — they asked if we had any ideas for the cover image. Brian would love to have a Coop image, but I knew there was no way we could afford that. I like that their pose is tender. I like his big feathery wings and the shadows of her batwings. I like that although she is naked (which she is on and off throughout the book), she’s turned enough to be slightly modest. That fits the book perfectly. We’re in the final editorial stages of the book now. With any luck, it should be out by the end of the month. 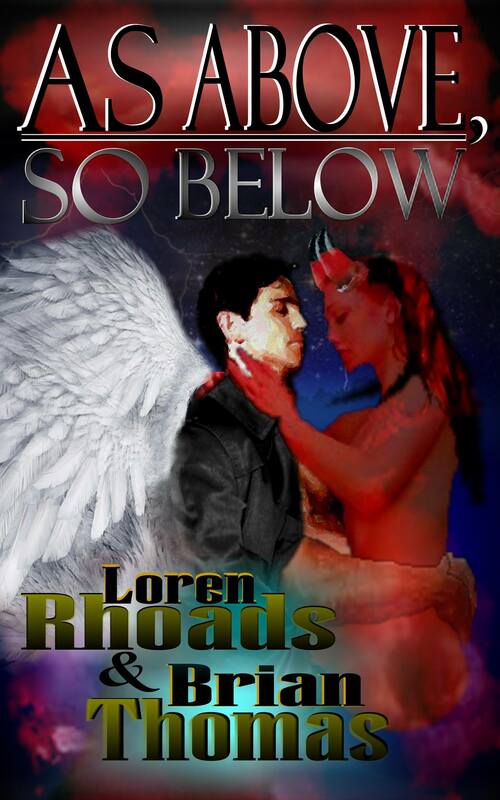 This entry was posted in Writing advice and tagged angels and devils, As Above So Below, cover design, Pinterest. Bookmark the permalink.